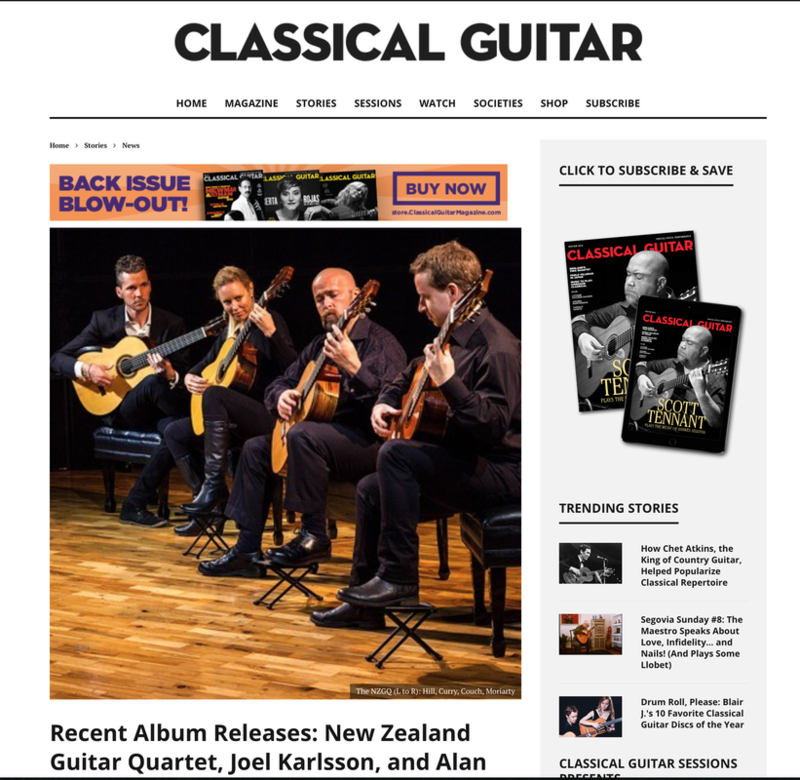 Directo desde Nueva Zelanda llegan a las cabinas de Universo949 los chicos de New Zealand Guitar Quartet (NZGQ). 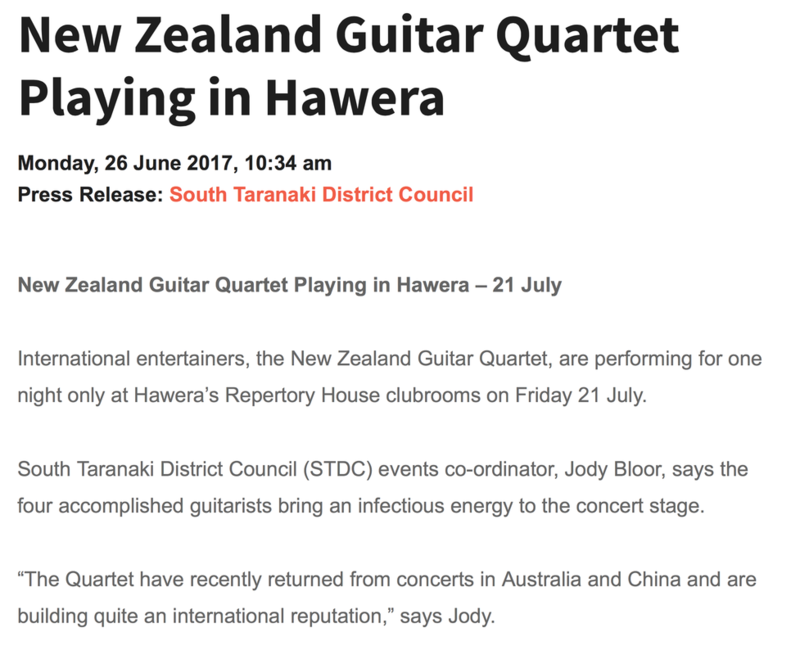 Jack Body will be front row and centre, so to speak, for The New Zealand Guitar Quartet’s upcoming concert. The quartet will be celebrating the life of the composer with a special commission, developed with guitarist and composer Marek Pasieczny. 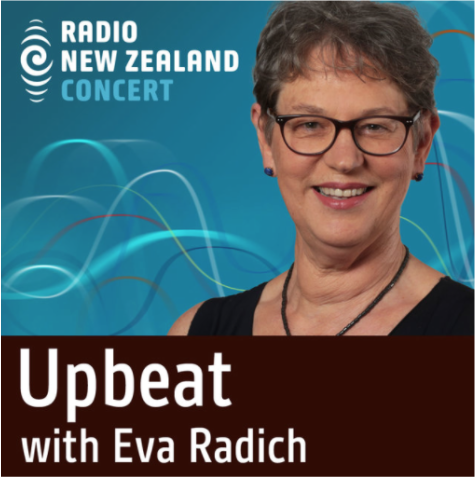 Quartet members Jane Curry, Owen Moriarty and John Couch discuss what performing this special piece means to them both. 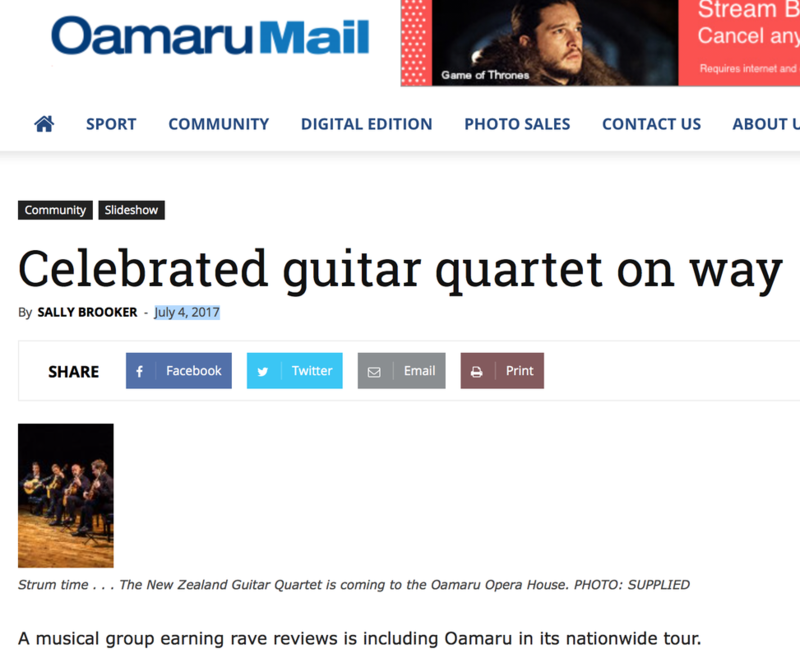 The New Zealand Guitar Quartet are on the road for Arts On Tour. 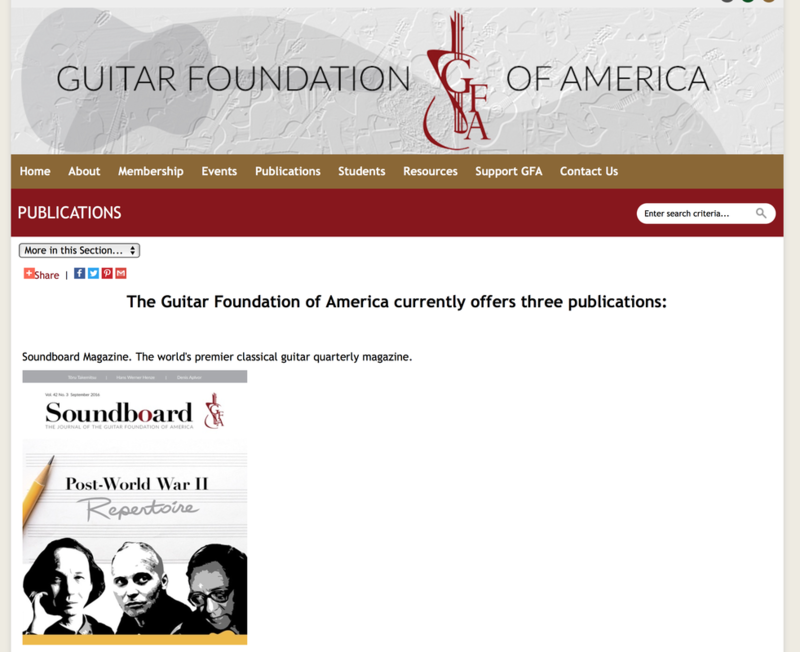 The four uniquely accomplished guitarists bring an infectious energy to the concert stage. 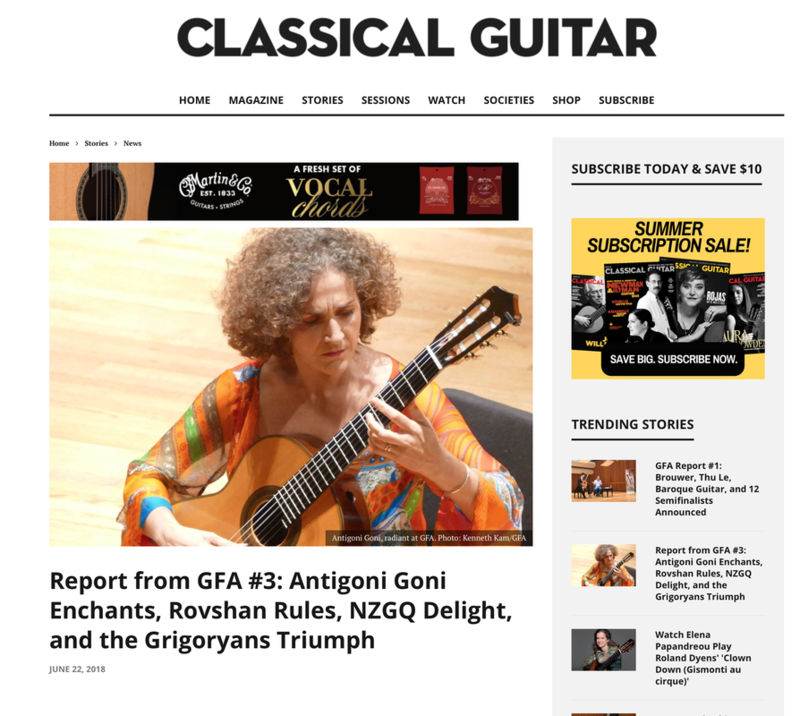 Recently returned from concerts in Australia and China, the NZGQ is building an international reputation that transcends geographical and historical borders. On tour they’ll play a range of styles including gypsy jazz, bluegrass, Celtic and flamenco. 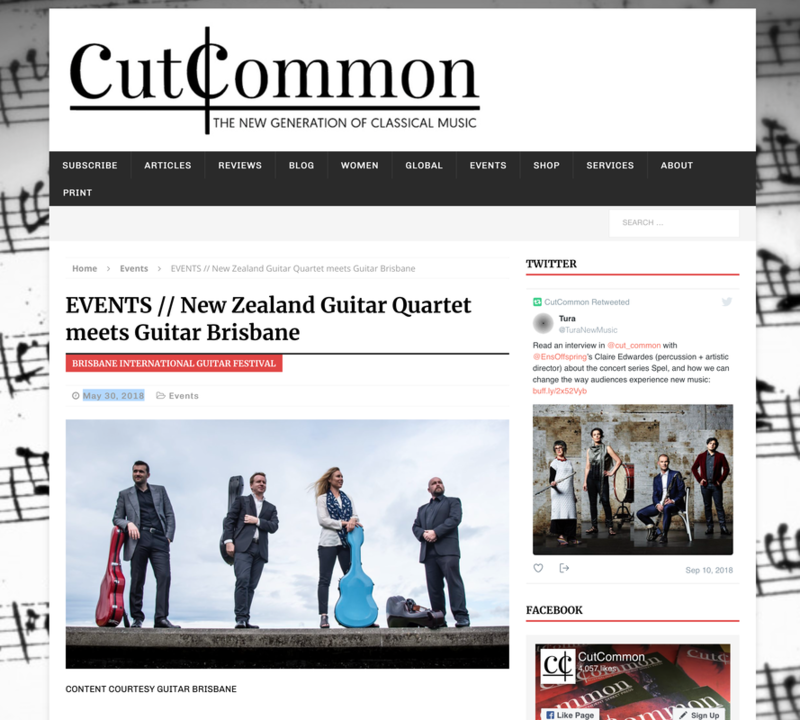 ​The New Zealand Guitar Quartet are at the tail end of a concert tour, with music by Jack Body, Craig Utting, Clarice Assad and more. 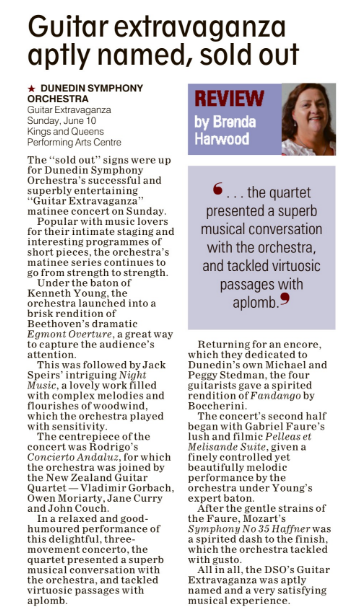 Eva speaks to all four quartet members; Jane Curry, John Couch, Christopher Hill, Owen Moriarty about their programme.